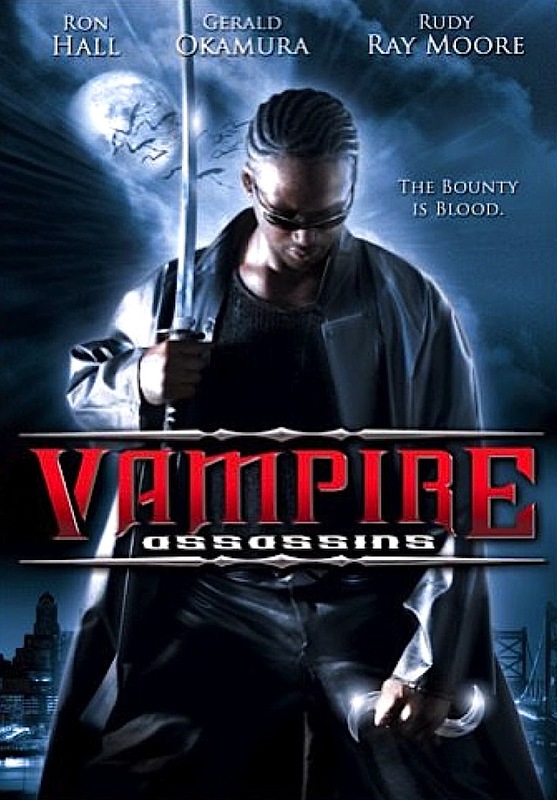 I knew I was in trouble when I saw that the DVD cover for this film said “Vampire Assassins,” while the title screen read the singular “Vampire Assassin”. Damn, continuity issues before the movie even begins! The second warning sign came when 10 or 15 minutes passed without me seeing the svelte, cornrowed, Blade-like hero from the cover. Was he hiding somewhere behind Derek (writer/director Ron Hall), the portly, middle-aged man with the receding hairline? God, I hoped so. 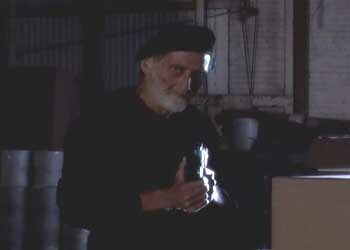 But alas, it turned out that Derek was in fact the titular assassin…s. 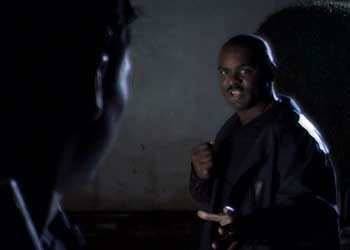 To his credit, Hall moves around well enough and seems to have enough training to fake being a martial arts-type dude. He pretty much has to, though, because his acting certainly isn’t going to carry the film. He has the charisma and screen presence of balsa wood, but then again, that’s part of what makes Vampire Assassin so deliciously horrible. 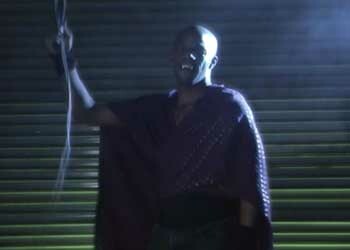 The quality of the martial arts lies somewhere between the Power Rangers and Rudy Ray Moore (who happens to appear as Derek’s surrogate father) and is just good enough to be “funny ha-ha” bad rather than “funny shoot-myself-in-the-head” bad. It’s slow and stiffly choreographed, sort of like watching synchronized swimming at the Special Olympics. At least that would explain why the evil henchmen are wearing purple sequins. As for the story, you can look at this as the prequel to Blade that nobody wanted: it tells the story of how policeman Derek becomes half-human, half-vampire assassin Derek. 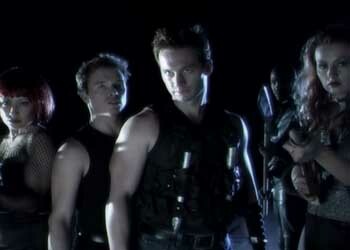 Yes, Vampire Assassin is bad, but it’s admirably ambitious and gives it the old college try. Given the obvious budgetary constraints, there are decent attempts at special effects, action and — dare I say it — Blade-esque cinematography. Unlike some films that are sheer ordeals to watch, this one’s pace and visual style keep you engaged long enough to laugh at how ridiculous it is. I mean, how can you not love a movie with the balls (or blinding lack of judgment) to include a scene of the hero yelling out the bad guy’s name while standing over the body of his dead friend? “SLOVAAAAAAAAK!!! !” Eat your heart out, Blade. Dracula employed a strict “Don’t ask, don’t tell” policy for his henchmen. Bum Fights took things to a new level when they handed out automatic weapons.